Jack was the eldest of four children born to parents Samuel George, born 1875 and baptised on 2nd May 1875, Walsall, Staffordshire, and Florence, nee Pitman, born 1879, Bassett, Southampton. Samuel and Florence married in 1899. Hector Mac b.16th November 1900 and d.1990. On the 30th September 1916 Hector joined the Royal Naval Reserves on board the Afrikander, working as an Assistant Paymaster. On 1st October 1917, he became a Sub-Lieutenant. In the 1891 and 1901 censuses the family lived at Alton, Hampshire, where Samuel was employed as a Prudential Agent. In 1911 Samuel was an Inmate in H.M. Prisons, County Gaol & Convict Prison, Maidstone, Kent. He gave his occupation as a Cycle and Motor Dealer which was his own business prior to being sentenced to prison. While his father was in prison Jack had been sent to live with his grandparents George and Hannah McManus at 23, Avenue Road, Southampton. George worked for the Civil Service as a Postal Telegraphs. Education and Employment: Jack was born on 15th February 1899 in Winchester. While at Taunton’s he participated in the French exchange programme. He won prizes for attendance and was linesman for the school football team. Life during the war: Jack’s family lived in Alton when his siblings were born but after his father was imprisoned, Jack went to live with his grandparents in Southampton. He took his Aviators Certificate in June 1917 at the Royal Naval Air Station in Redcar. Jack was a Flight Lieutenant in the 67th Wing of the Royal Air Force and was mentioned in Despatches. He was killed in action in Austria and is buried in Salonika Military Cemetery. Jack died on 30th August 1918 aged 18 years. Rank, Regiment, Profession: Flight officer, R.N. 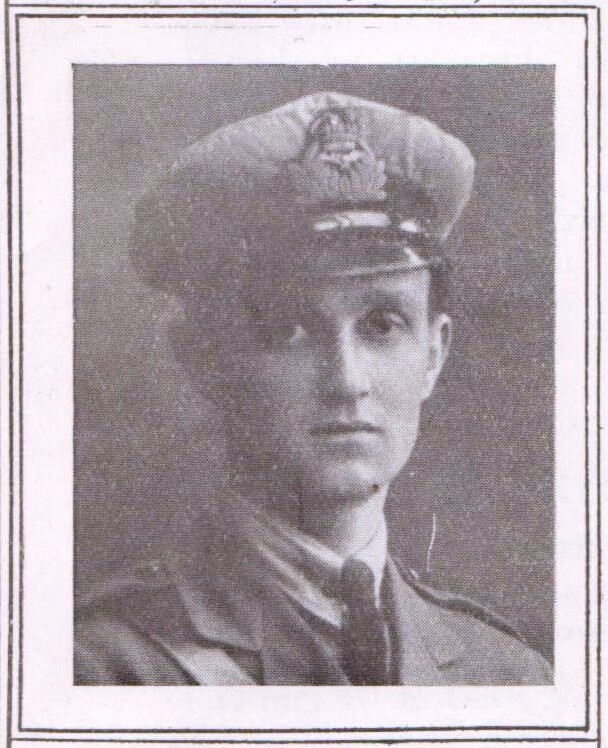 Jack was promoted to Temporary Probationary Flight Officer on 13th March 1917. He was serving at Cranwell. For his service to his country, Jack was entitled to the Victory and British Service Medal.